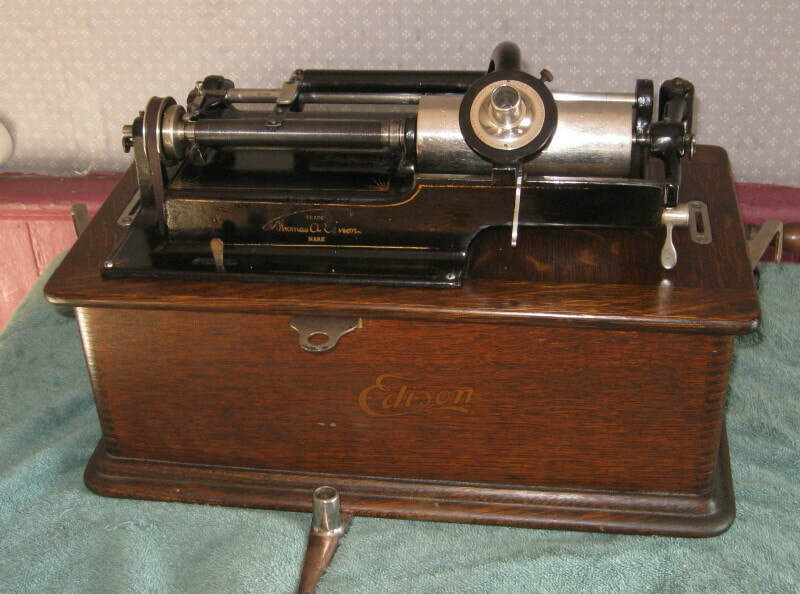 This is an Edison Standard Model B with a 2/4 minute conversion kit installed on it. 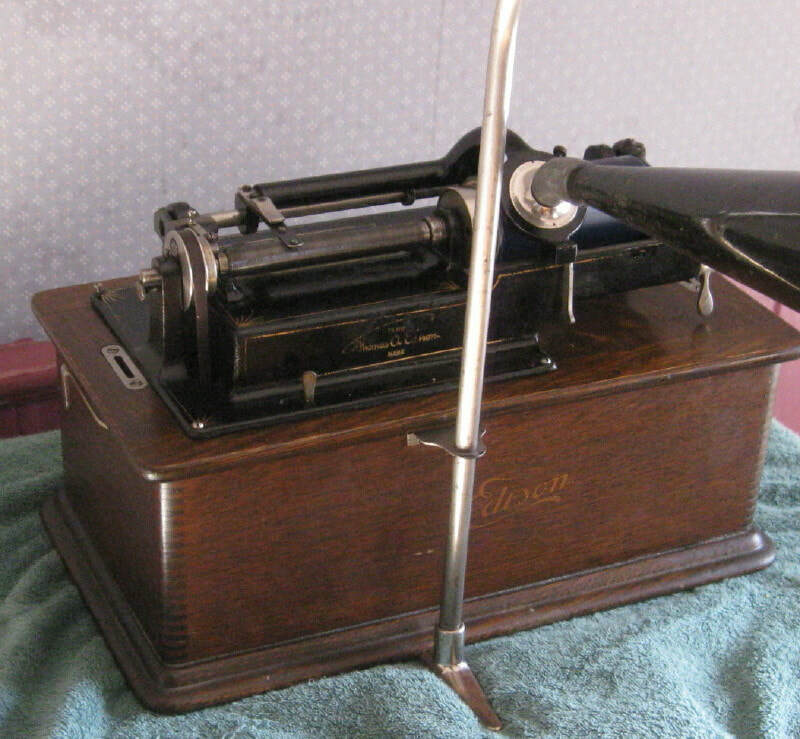 It comes with a Model K reproducer so you can play both 4 minute and 2 minute cylinder records. 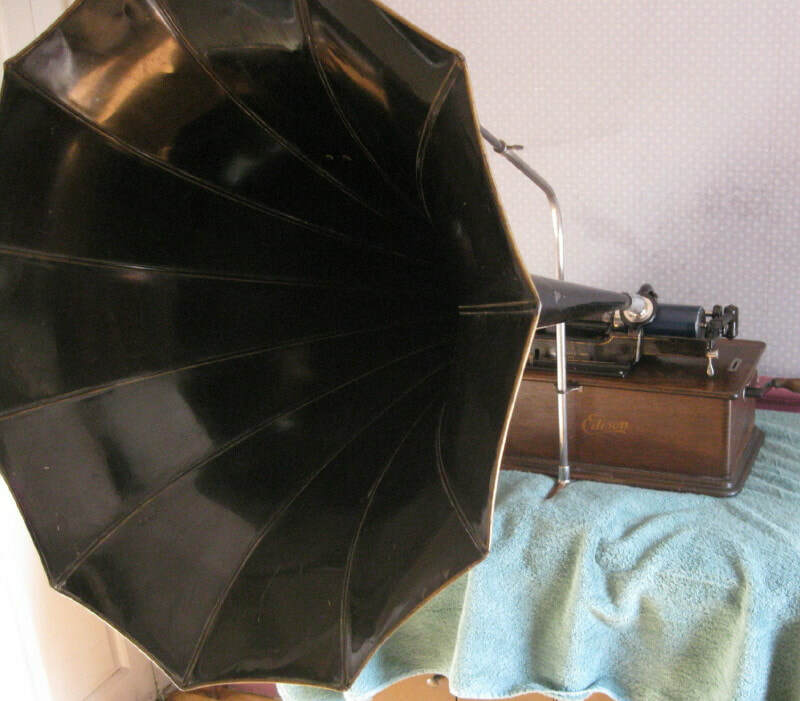 It comes with the big original equipment 32" Edison black panel horn and an original crane. 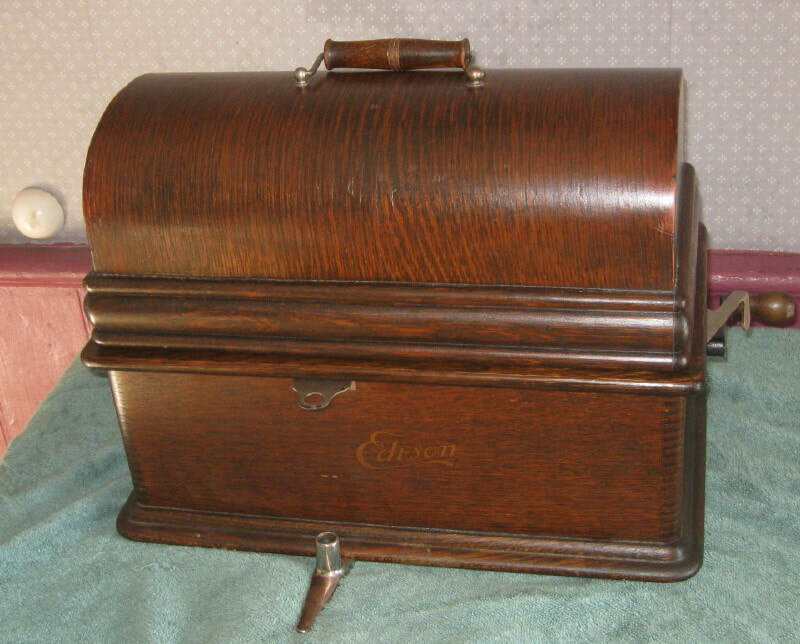 The quatersawn oak cabinet and lid have original shellac finish making this entire set up a really beautiful example of early 20th century technology and will give you many years of listening pleasure. 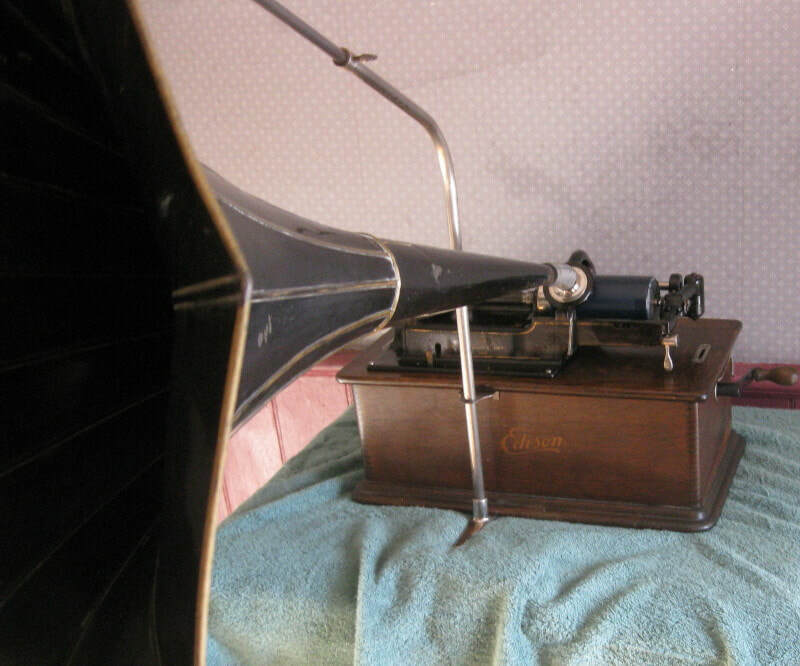 horn, but we can talk about shipping options..